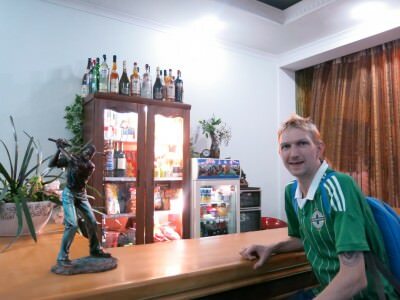 While Pyongyang is hardly a “party city” or somewhere to get ridiculously drunk and go on pub crawls, there are bars and restaurants there that are open to foreigners. 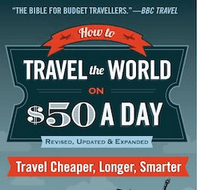 I was on tour with Young Pioneer Tours (you can get 5% off future tours if you tell them you saw them through Don’t Stop Living). 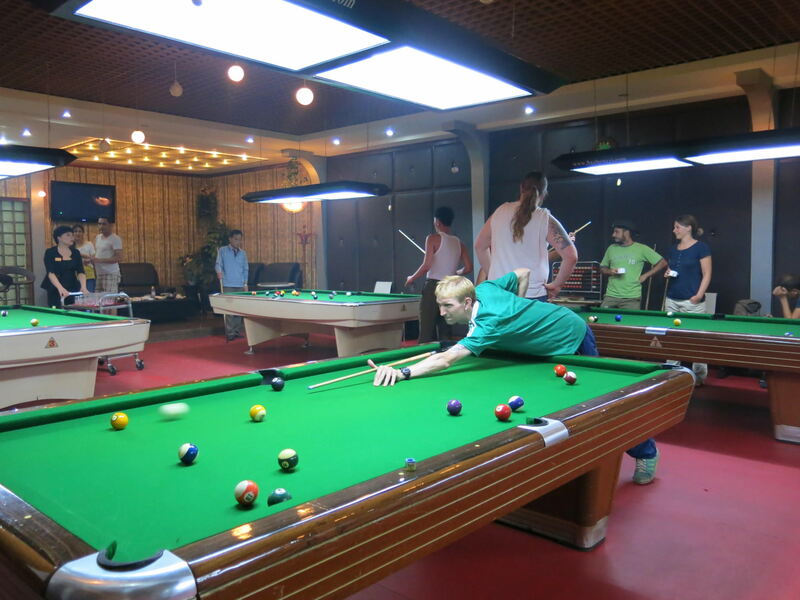 YPT took us to a load of cool bars and restaurants while in Pyongyang and Kaesong. 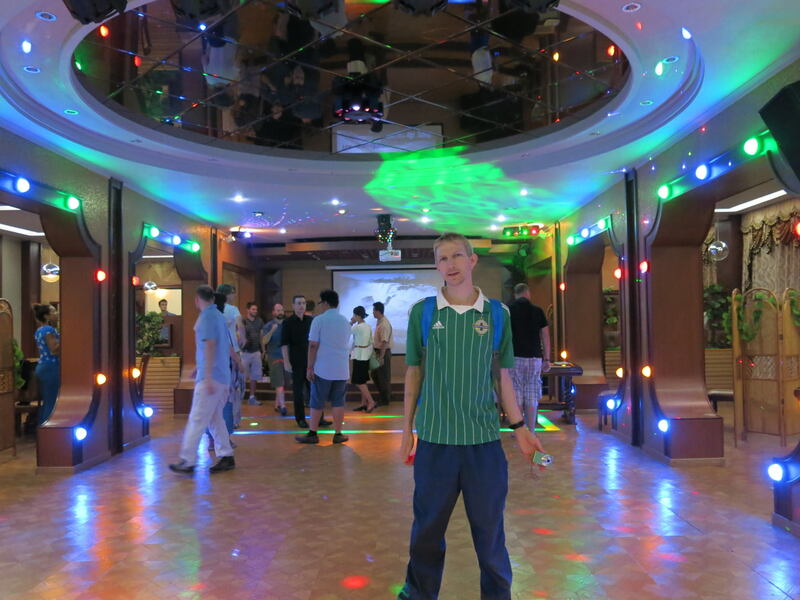 Unless things change, you’ll be accompanied to these bars at all times by your guides, but that makes partying in Pyongyang a unique experience. Here are my top 5 bars in Pyongyang, North Korea…MY top 5 from my visit, of course I don’t know the city inside out, but when Thirsty Thursdays comes round, I’m up for a North Korean beer! Thirsty Thursdays: Cheers! Loving my beer in North Korea’s capital city, Pyongyang. Taedonggang Diplomatic Club, nicknamed “The Diplo” is an ice cool swanky, state of the art venue which seems to mix a leisure centre with a nightclub with a sports centre. 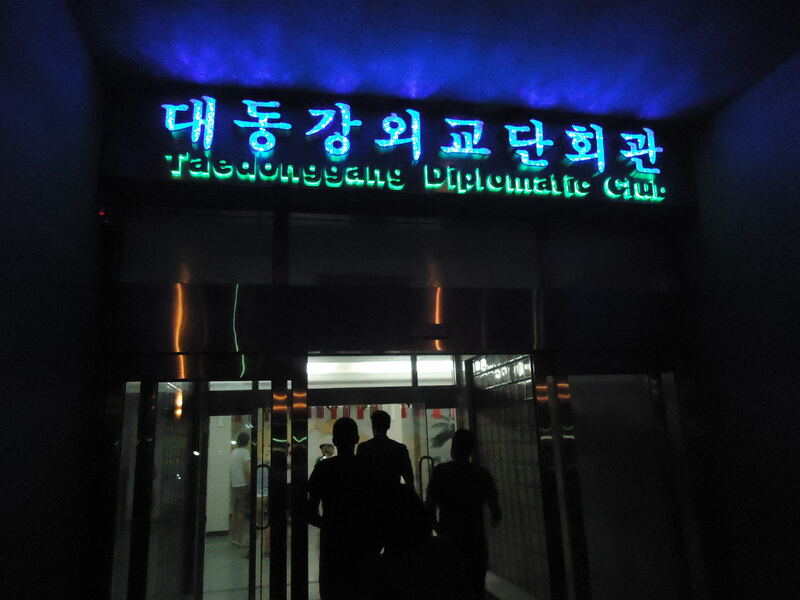 It’s a meeting place for foreigners, ex-pats and a few local richer North Koreans. If you can get this on your tour as an option, take it. It’s all a bit surreal. 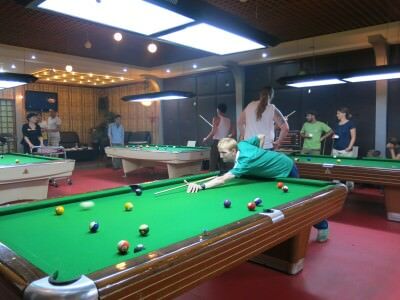 There I was playing pool with a North Korean guy (and I beat him) in a posh bar in downtown Pyongyang. The weird thing is they serve a load of foreign products and not local ones. You can get Heineken beer, Baileys Irish Cream and Johnnie Walker Whiskey. All this while R.E.M. hit “The One I Love” pumps out, followed by Madonna’s “Like A Virgin”. You can talk to locals freely here, and some of them will speak English. We also met an ex Pat from Pakistan who was chilling out there. 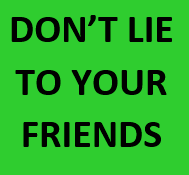 English is used on some of the signs within the club. Swimming, games room and karaoke are also options. I loved it. It was the nearest thing we got to a “nightclub in Pyongyang”. Let your hair down, it ain’t strict here. 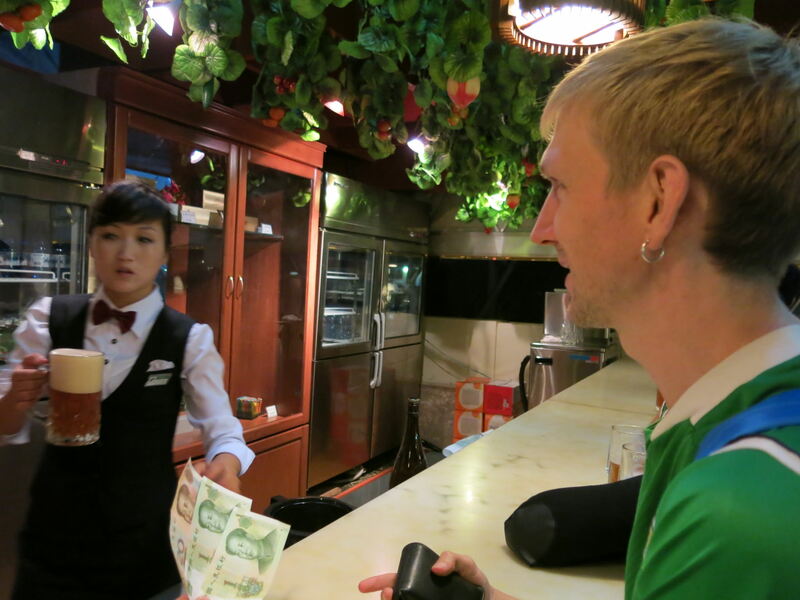 At one of many bars inside “The Diplo” in Pyongyang. 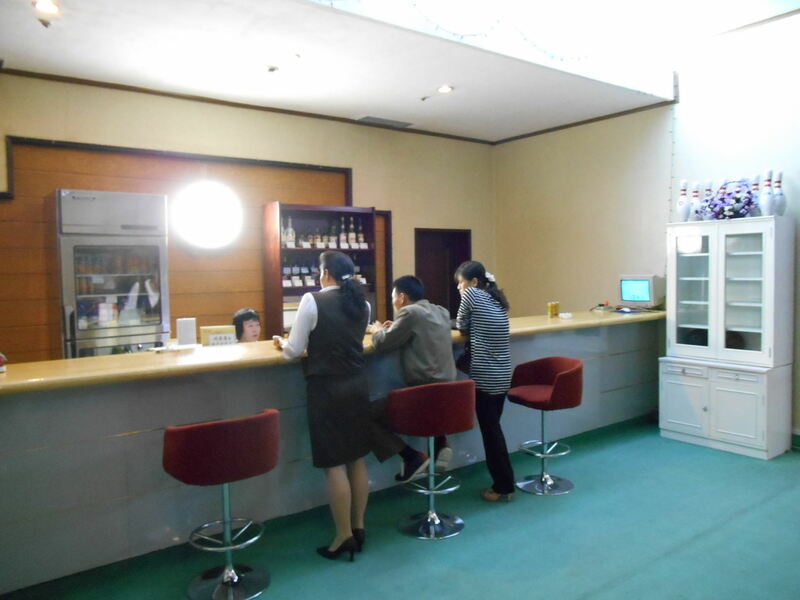 Yes, there is a brewery in a hotel in Pyongyang that brews their own beer. And shock horror, it’s good!! I love knocking back a cold pint of “Yanggakdo Beer” (it’s probably not called that, but it doesn’t really have an English name). Live sports is also shown. This is on Floor 2/By the reception of the Yanggakdo Hotel, where we stayed in Pyongyang. Beers are standard price of 22 RMB. North Korean Won is not allowed to be used by foreigners while in the country. Buying the locally brewed beer in the Brewery, Pyongyang. This is an odd place. The front entrance, you arrive at a “local bar” with what looks like a load of hard working locals sipping cold beer and eating after a long day of work. 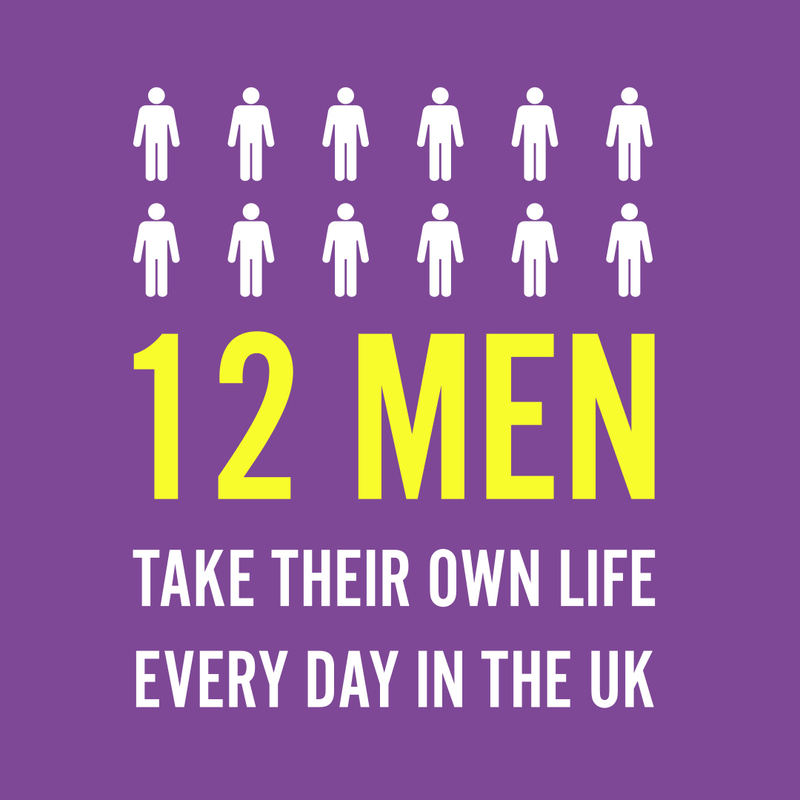 You can talk to them no problem, and language may be the only barrier. Meanwhile out the back, live music is accompanied by dancing. You are readily encouraged to join in while you get barbecued lamb, squid and duck. I asked our guide Chen if the restaurant had a name and the reply was “Barbecued Lamb Restaurant“, so we’ll go with that. I’m sure that’s not the real name of the bar and restaurant. 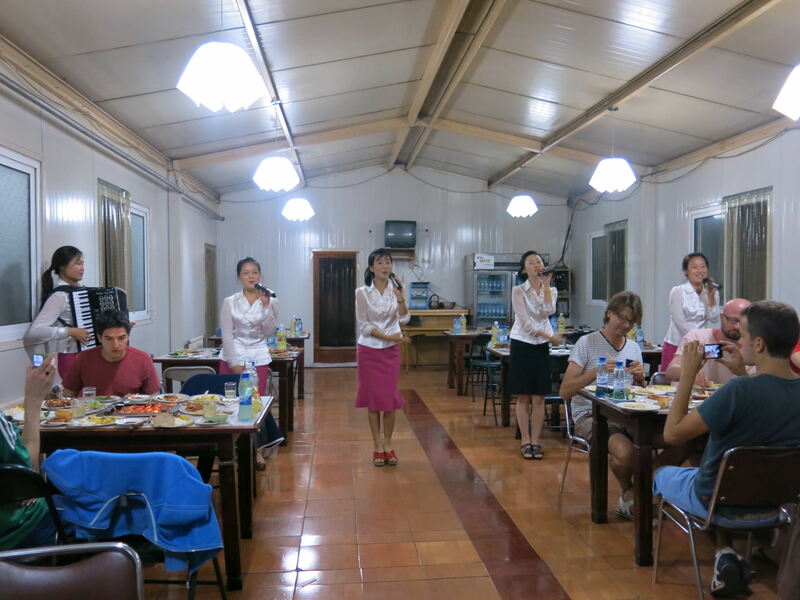 North Korean people, like their nearby Asian counterparts love karaoke. Pyongyang offers a load of places to do this. If you run out of time, you can get your group together and simply sing karaoke in your hotel. 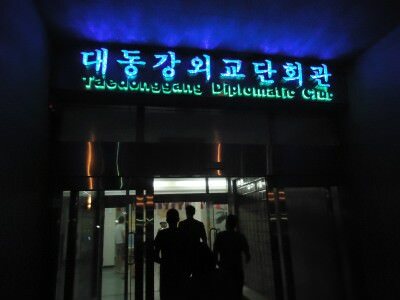 Both the Koryo Hotel and Yanggakdo Hotel have karaoke bars. I got up and did a rendition of Michael Jackson’s “Black or White”. It completed a double for me, as I had sang it in South Korea in a Noraebang in 2011. 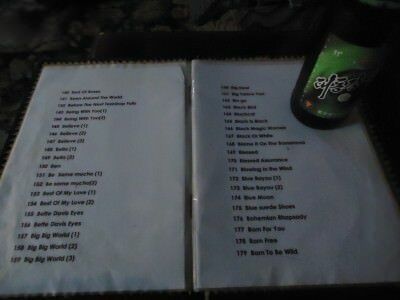 Beers are as cheap as 10 RMB by the way and they have a full English list of songs. Thirsty Thursdays: Get a karaoke bar on your list – local beer and English songs! 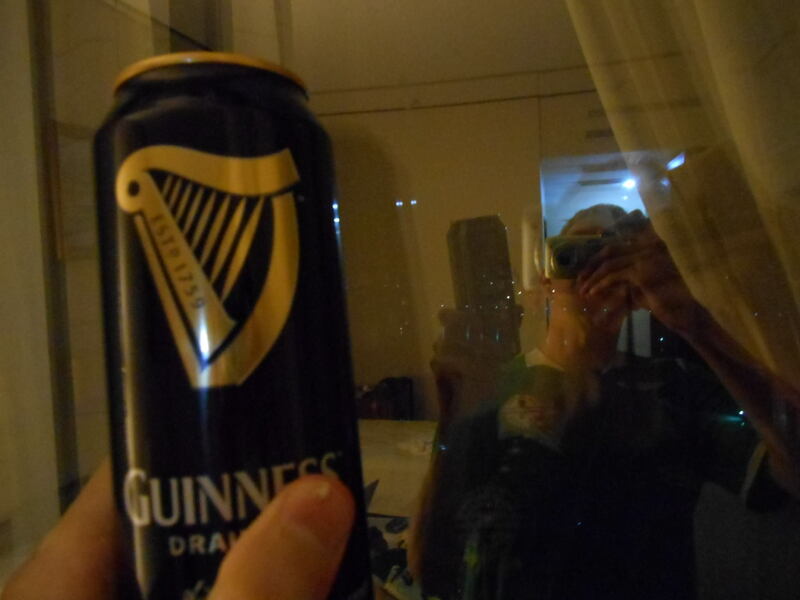 The first beer I paid for was in the Bowling Bar in the Yanggakdo. We had previously got a beer included as part of our lunch in a downtown restaurant, but here at the bowling bar they have a good range of beers and spirits – mostly local. It was only 8RMB for a beer here, and served cold from the fridge. You’ll also have the option of going ten pin bowling. We were so busy on this trip that we turned it down, in fact that’s the only thing we turned down, and it was because I wanted to get my travel blog up to date and relax with a beer. 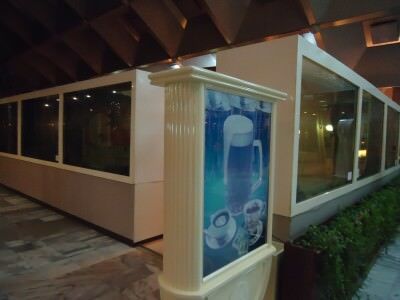 Thirsty Thursdays: 5 places to drink in Pyongyang – this is the bowling bar on the bottom floor of the Yanggakdo Hotel. Are you kidding me? There’s an Ulster Irish Pub in Pyongyang??? Yes, there is but it’s very much a DIY type bar. Smuggle a few tins of Guinness into the country and burst the beer open in your hotel room…I also had a mini bottle of Bushmills Irish Honey with me, courtesy of my mate Neil McCormick. 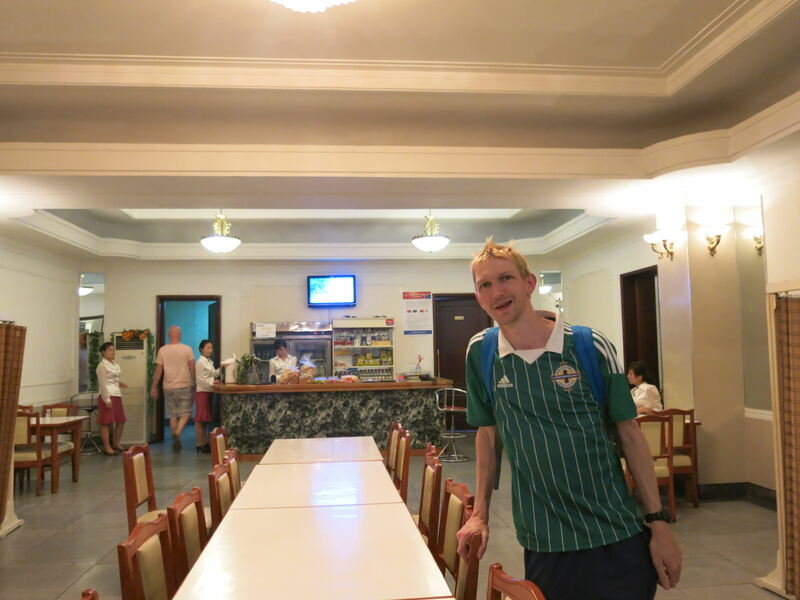 Backpacking in Pyongyang is special and different. 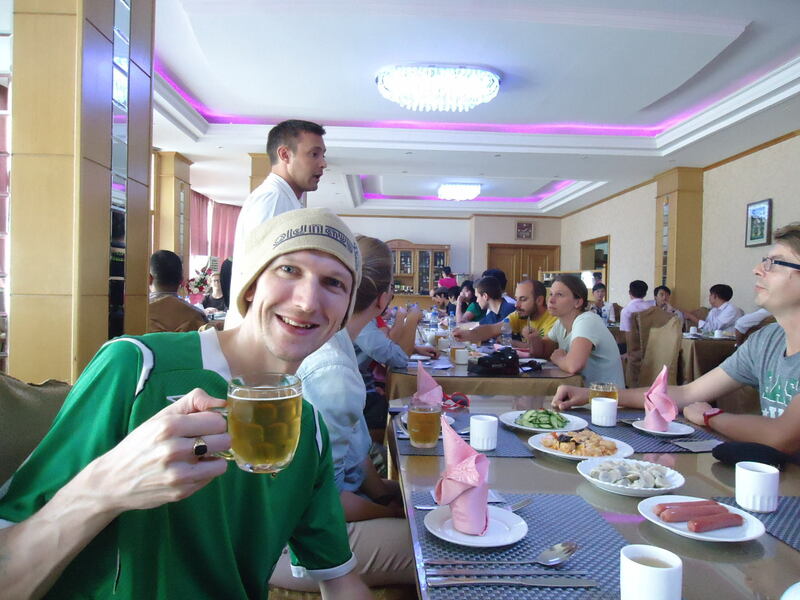 Drinking in Pyongyang offers a lot less variety than some other capital cities, but trust me, that’s a good thing. Enjoy your nights out in Pyongyang. Try the local beer, chat to a few locals and savour the spirit of a self proud country which has kept the communist dream alive a century after it all began. Share your beer and party the night away. Pyongyang will shock you. Get your North Korea visa, fly into Pyongyang and enjoy yourself! This entry was posted in Asia, Daily Features, Destinations, North Korea, Pyongyang, Thirsty Thursdays. Bookmark the permalink. Bowling Alley Lady grabs North Korean beer. Bowling Alley Lady grabs calculator for currency conversion. LOL … priceless! I think your Bowling Alley video is the funniest one to date! Cool site. You’re a cool guy Jonny. Greetings from Denver, USA.